Dr. David Sukoff is many things: an orthodontist and dentofacial orthopedics specialist, leader of Sukoff Orthodontics, and an avid skier. But his most important role is as a husband and father who cares deeply about his family’s quality of life. 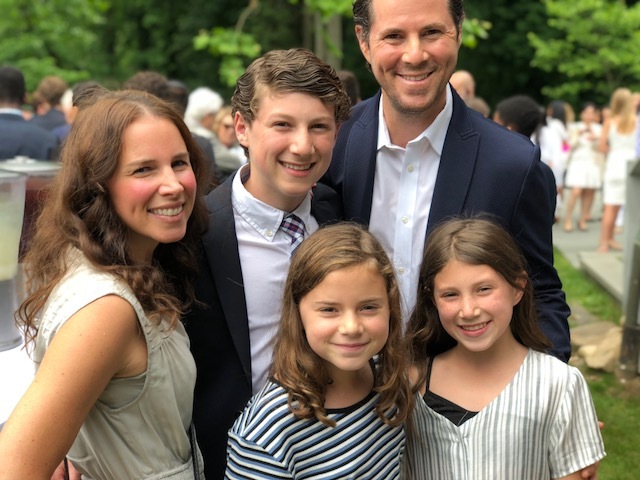 That’s why he chose Invisalign® treatment—not just for his wife and himself, but also for his own three teenage children—to fix their simple to complex orthodontic issues. The Invisalign brand is constantly advancing to deliver better, faster results for both young and adult patients. Innovations to every part of the process—from the digital imaging and software to help predict and control the shifts of patients’ teeth to the materials of the aligners themselves—make Invisalign treatment the modern way for moms and dads to help increase their kids’ confidence with a straighter smile. Every parent should know what doctors have already confirmed: that Invisalign treatment works on even complex cases. From an overbite to an underbite, gaps between the teeth to crowded or crooked teeth, Invisalign clear aligners deliver hassle-free results. Dr. Sukoff had always known that Invisalign treatment was going to be the right fit for his son Josh’s narrow upper jaw and overcrowded teeth. On top of the results, the system’s convenient maintenance was a major factor in the decision; peace of mind with less emergency visits due to broken brackets and wires from sports injuries, and just from being a teen. “I chose the Invisalign system for Josh because I didn’t want him to have to experience any of the issues that typically come around with traditional brackets and wires,” explains Dr. Sukoff. After reading this article, are you more likely to consider Invisalign treatment for your teen? Invisalign clear aligners are not just a great fit for teeth—they fit into the average teenager’s lifestyle as well. The treatment allows young patients to continue pursuing their interests without interruption. Invisalign treatment removes the fear for athletic teens who play sports and love to eat normal foods like all of their friends. 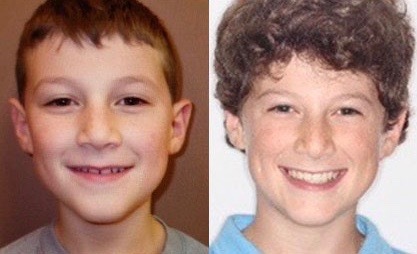 If you would like to learn more about transforming your teen’s smile with Invisalign treatment, visit Invisalign.com. You can also visit the nearest Invisalign-trained doctor to your family to see if Invisalign treatment is the best option for your teen. originaldate 1/1/0001 6:00:00 AMwidth 594height 599@megmeg_hix says she feels like a whole new person now that her smile transformation is complete. (Now that’s a side effect we can stand behind!) originaldate 1/1/0001 6:00:00 AMwidth 597height 514Flexibility. Freedom. Results. @mel_miller has a smile she can’t wait to show off thanks to Invisalign. originaldate 1/1/0001 6:00:00 AMwidth 593height 587Can you believe @emilyaspin took these photos just fifteen weeks apart? originaldate 1/1/0001 6:00:00 AMwidth 595height 512A lot can happen in six months—especially for @alec_eastwoodx who chose the most advanced clear aligner system in the world.